My crony from Philadelphia Carter Baldwin returns to TBB with his latest mecha, the NATO ‘Gorgon’ Mobile Frame. 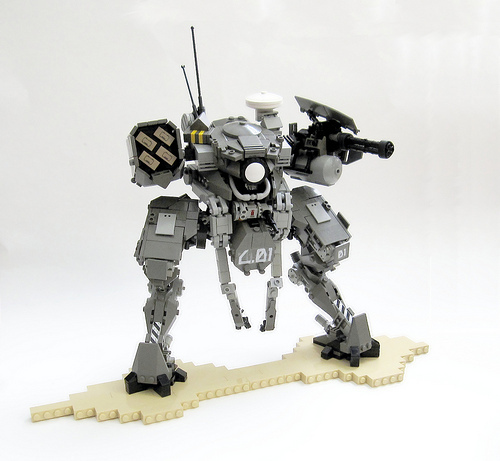 Based on concept art by flyingdebris, Carter brings the futuristic war machine to life with some very inventive techniques. The only question remaining is which gorgon this respresents…Stheno, Euryale or their more famous sister Medusa?